Book is my drug, Craft is my passion, Photography is my alcohol, Food is my temptation, Blogging is my therapy.. Finally, finally…. finally… my bookshelf is loaded with drugs. May call it a drugshelf? Better. hehe. 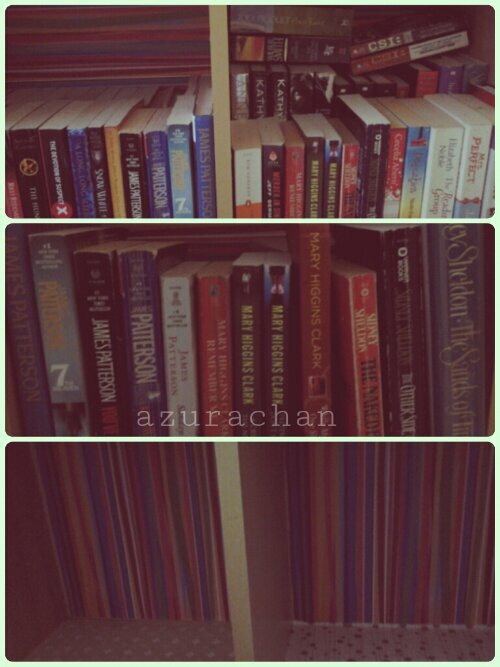 Took ages to clear, sorting, makeover the shelf. It used to be a ‘junkshelf’ before. And now, I have turn it into my drugshelf and my crafty workspace (70% needed on that part. gih gih gih). 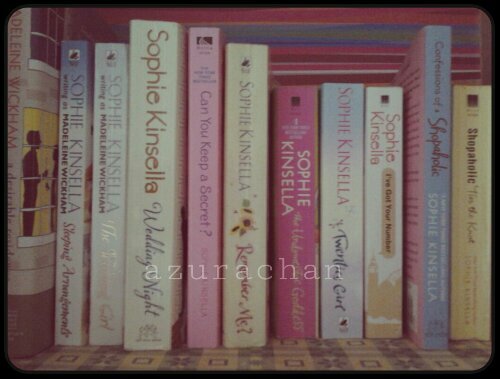 My Sophie Kinsella collections. I have completed collecting the stand alone books. My favourite so far is I’ve Got Your Number. hehe. And the mission is still going on, to complete the Shopaholic series. I only have two from the series. Also, would love to collect her books with her other name ‘Madelaine Wickham’. 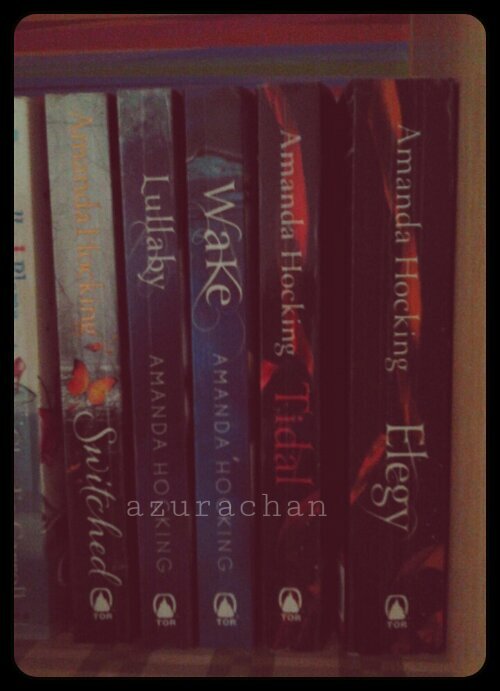 This is my Amanda Hocking collection. My first book of her is the Switched, from the Trylle series. Yeah, didn’t complete it as well. Need to find for Torn and Ascend. Looking forward for a bargain sale next year. hehe. However, I managed to complete the Watersong series. Yay! Hey, there’s a section for Malay book as well. I read anything, never bias on reading materials. In fact, it will widen our knowledge. I only took picture on my favourite Malay author, Ramlee Awang Murshid. Hmm… another incomplete for the Laksamana Sunan’s dwi-trilogy. The first book – Bagaikan Puteri, if any of you want to let go the book… please… contact me. hehe. Yesterday I received a message from DearDear saying that my ordered book has arrived. Weird I thought because I haven’t made a payment for the book I ordered. He helped me to unwrap the package. And guess what? Thank you sis! You made my day. xoxo. Why so suddenly I bring up this issue? Am not trying to create gender war here. It was after reading Sophie Kinsella’s I’ve Got Your Number, I’ve double agreed with the fact. Ok here, I quote some phrases from the book. Poppy sent a text message to her fiance after found out that he cheated on her. Short and simple. Men might think the question is direct to the point. Indeed, there’s a question behind the question. Here’s the explanation from Poppy. Hi means, Hi, have you been unfaithful? Have you? Please, PLEASE don’t let this be true. How means, I really wish you would ring me. I know you’re on your stag do, but it would reassure me so much to hear your voice and know that you love me and you couldn’t do such thing. Nope. It’s not a view from my bedroom window. I captured the picture in front of the Zaira Shop last weekend. When you see girls or women starting to upload or download pictures of curtains, clothes, latest fashion… you know what’s coming around. Mostly the tailors had stop taking orders for ‘baju raya’ starting from next month. 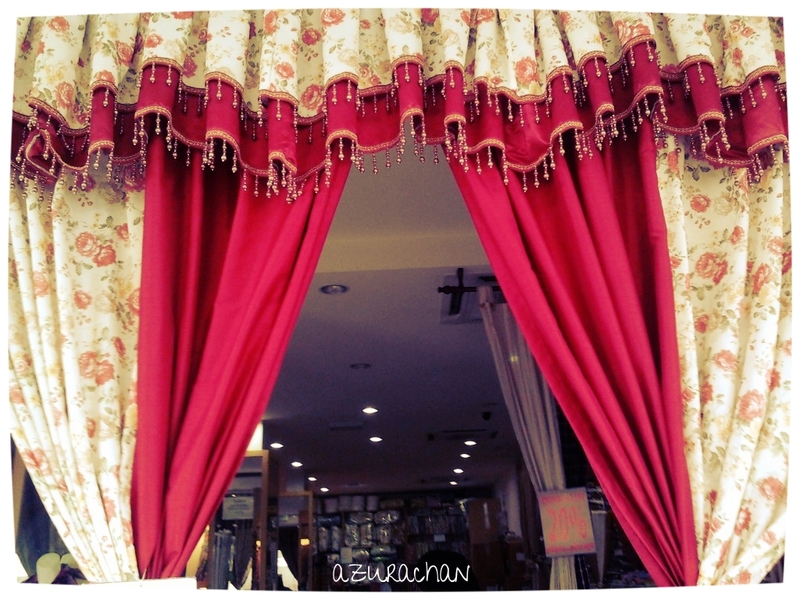 For the past weekends I’ve been searching for ‘kain raya’. Googling, downloading the picture for samples 😉 matching colours… (It’s was a hot topic among my friends). Maybe some of you might suggest me to buy ready made cloth. If I am living in West Malaysia (KL to be precise), I won’t bother to buy kain and hunting for tailor (tired maa…), since the price is cheaper. Unfortunately, in Kuching buying ready made baju raya is not a worthy. They double up the price! Apart from messing around with clothes, I’m rereading this book. 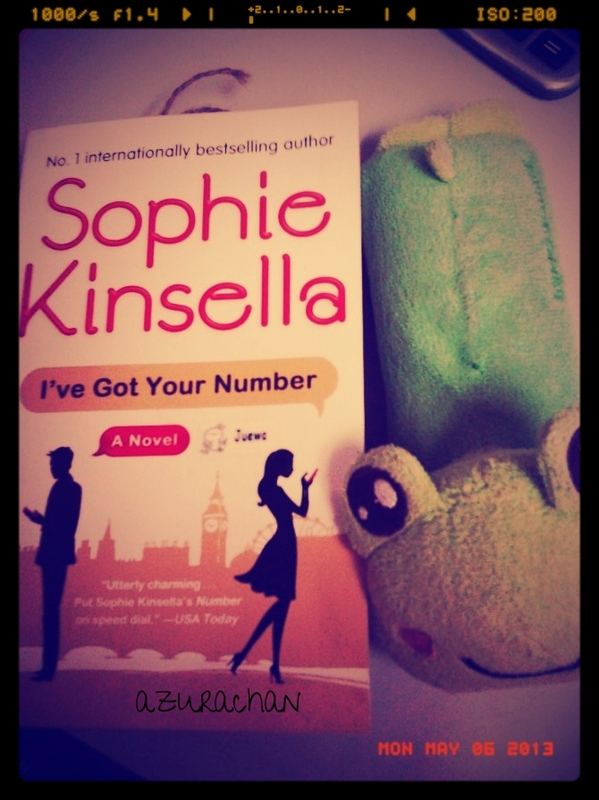 I’ve Got Your Number by Sophie Kinsella. 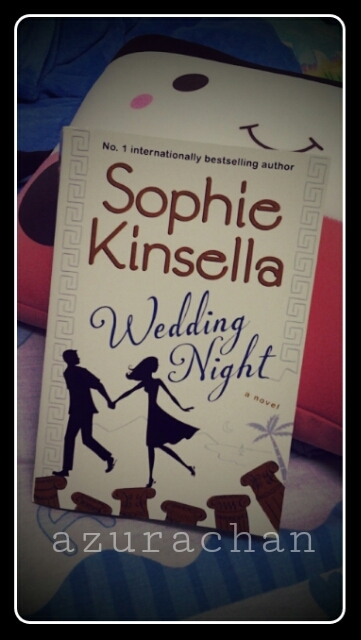 Reading Sophie Kinsella is one of my therapy. It soothes my mind. Don’t bother if you found me smiling or giggling alone while reading it. Sometimes when not reading it. (Suddenly remembered the funny lines from the book). Check out my updated SK Wishlist. Can’t wait for the new book Wedding Night. My first drug for the year 2013. 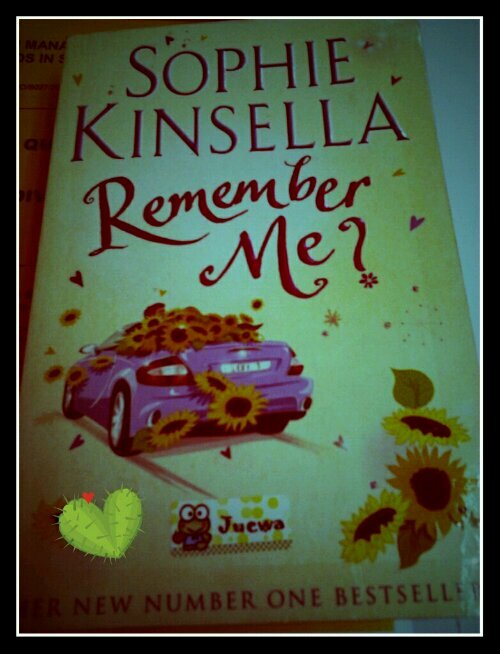 Remember Me by Sophie Kinsella. Have I read this book? Yess. And I really like it. Before this, I only read it from ebook. Since I like the plot very much, I started to hunt for the real book. I bought this one from a website selling pre-loved books. 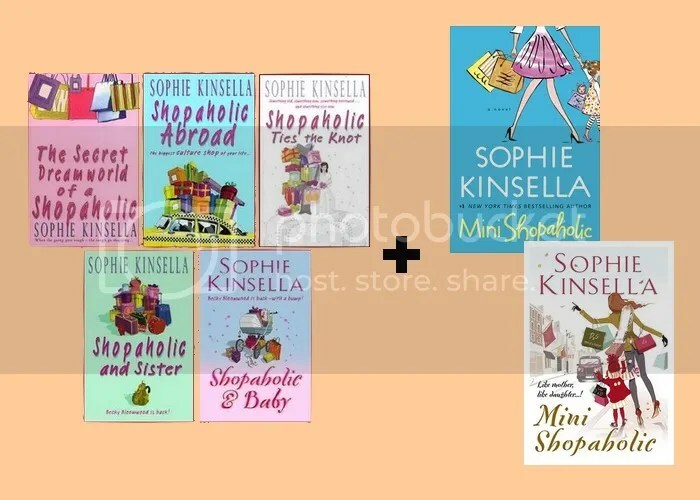 My mission for this year is to make a collection of Sophie Kinsella’s books. I will never get bored reading her books. At first I want to add Emma from Emma. 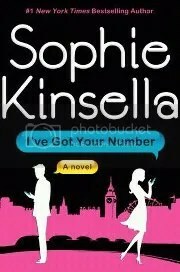 But after reading I’ve got your number, I found that the main character – Poppy Wyatt is quite similar to me. Haha! I must be kidding. Or you might think I must be dreaming! This question is ridiculous. Wait until I come with my own book, I’ll go back to this question. hehe. 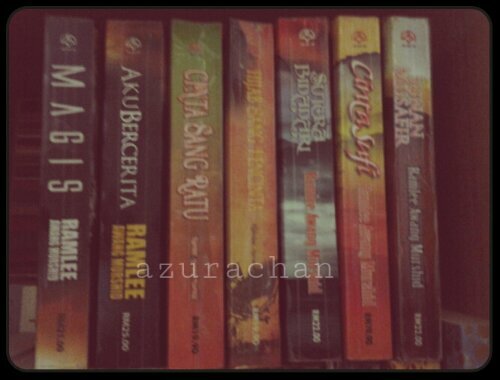 Anyway, the reason I chose this series is because the sequels were quite similar to me. From the beginning of the series, Becky was still single, and until now she have a baby. Just like me! Simple as that. Muahahahhaa…. ...STILL CRAZY AFTER ALL THESE YEARS! The word will still be beautiful in me eys when your gone. A country woman blogger who wanders around and carries her craft tools! Join Me to Hunt Good Food in Kuching!